Situated in Granada's historical distric Albaicin, Carmen de los Chapiteles boasts a lush garden and terrace with views of the Alhambra. There is free Wi-Fi throughout the property. This property features classic décor and exposed wooden beams. 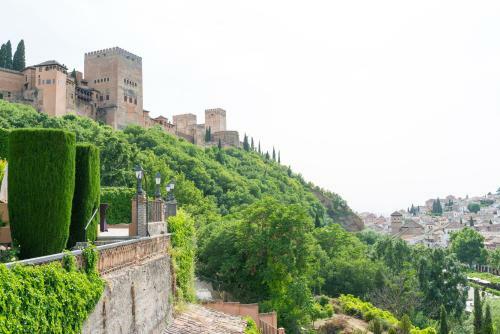 This hotel is 591 metres from the Alhambra entrance, 859 metres from Plaza Nueva (the absolute centre of Granada), 2210 metres from the train station and 3319 metres from the bus station.